The pretty rural part of southern Devon leading down to the sea at Salcombe, between Plymouth and Torbay. It includes the popular holiday destinations of Salcombe, Kingsbridge, Ivybridge, Dartmouth and stretches as far north as Totnes. For holidaymakers, this is a fabulous area arguably the best of countryside and coast in South Devon and most falls into a recognised Area of Outstanding Natural Beauty. 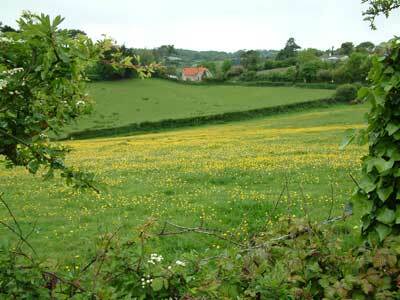 There are plenty of cottages to rent for family country holidays in the South Hams. It is good for children to experience the countryside and the fresh air and tranquil atmosphere helps everyone to sleep well at night and relax - something that improves everyone's health and well being. A variety of seaside and rural cottages in the South Hams is available to choose from. Families with school age children are restricted to school summer holidays, however, childless adults and pensioners can elect to enjoy this southern part of Devon at any time of year and benefit financially from the lower rental rates outside school holidays. If you are undecided about what type of holiday cottage you require and the facilities that you may like to enjoy on holiday, for example, a hot tub, swimming pool or games room, then take a look at cottages with a variety of facilities. The Kingsbridge area around the estuary is lined with marinas and boatyards, colourful sights to enjoy during a holiday or visit. There are plentiful opportunities for sailing and boat trips around the coast. The excellent beaches of the South Devon coast together with the high number of visitor attractions, good quality accommodation and lovely farmland all contribute to making this part of Devon a brilliant holiday cottage destination. Take a look at the cottages in South Devon by clicking on the menu option on the right.